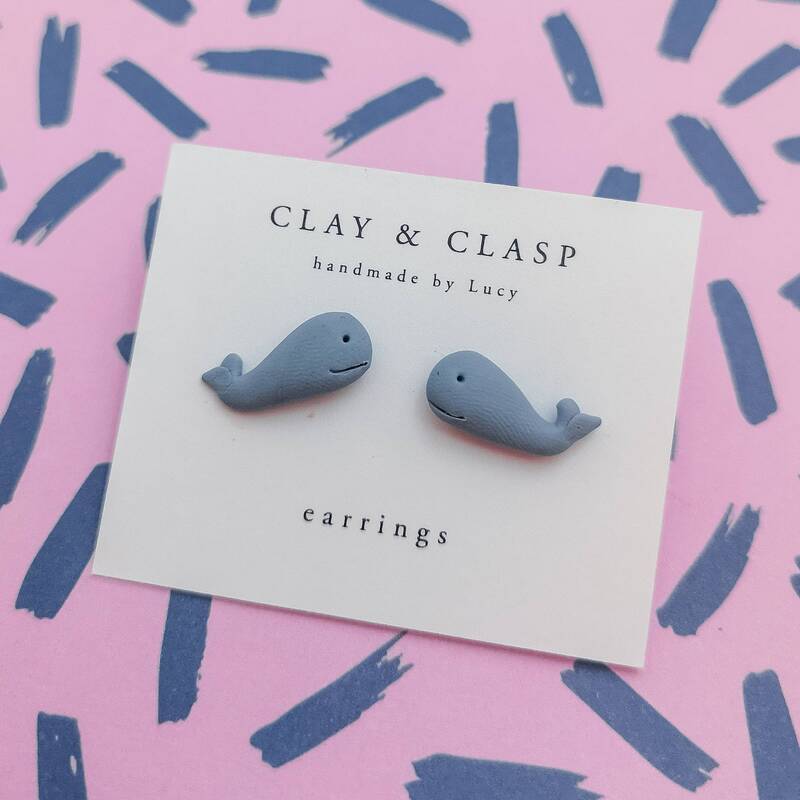 Polymer Clay whale Earrings handmade by me! I carefully mix the polymer clay to blend beautiful colours and shape and decorate. Earring posts and backs are hypoallergenic surgical stainless steel, safe for even the most sensitive ears!